Hello Space Cadets, I hope this post finds you well and in good health. The American Thanksgiving Holiday has just passed and the process of recovering from the food coma’s have begun. If you’re participating in the Great NaNoWriMo, I wish you many words and hope your journey is well on its way. Speaking of the NaNo, I’m behind but still within the realm of finishing the 50,000 words in 30 days. I’m working on Operation Breakout, the third novel in my Sleeping Legion series. I’ve also put some words into two short stories and some last-minute revisions of Fortress Beta City. That’s the second novel in the Sleeping Legion series. The first two novels in the series should be in ready to leave me and wander into the big bad jungles of the Amazon. I’ll post more as soon as my editor and boss give me more information. My current word count is 35,939 words across several projects related to the series I’m currently writing. I am behind, but it is definitely salvageable! As for my interview series, they will come as soon as the authors I’ve contacted respond. I will keep you posted, and unless I have something to say this will be the last post marked in the series until my interview requests start coming in. Since I can’t offer you an author’s interview, let me instead recommend a book by J.R.R. Tolkien, The Children of Húrin. It’s his first complete book since the 1977 publication of The Silmarillion. If you loved the Lord of the Rings, you’ll love this! –> As usual, all images came from the Google’s “labeled for reuse” section or are used under the Fair Use Doctrine. Hello Space Cadets, today would be my inaugural Family Friday series but that just isn’t going to happen. I intended to do a series of interviews with authors, editors, and anyone else in the book industry about how they manage their passion with the demands of any other careers and their families. I’m doing this series because I certainly don’t have the answers so why not interview other authors for advice? Maybe we can learn the great secret together! While planning for this interview series I made a few logistical goofs. In my ignorance, I didn’t plan ahead enough for an interview series. It had more moving parts than I knew about, though common sense should’ve clued me in. Basically, I had to write the questions template, make one for the spouse/significant other and save it. Then I would need to tailor it for each individual author with the appropriate introduction etc. This will include links to their social media, webpages and blogs so anybody interested could find the author in question. And all this BEFORE I could even get it to the artists. Once I had a potential interview subjects, I would need to ask them (several at once) if they were interested and hope they say yes!! If they did, I would need to give them the interview document with enough time to answer it. I think a few in the cue would help here, so that would take some organizational skills as well! Finally, I would have to wait for them to mail the form back. This might take me several weeks to organize, but in the meantime, I’ll post a link to a podcast which has been super helpful and hope you enjoy it too! It is the NaNoWriMo Every Month Podcast by author J. Daniel Sawyer. 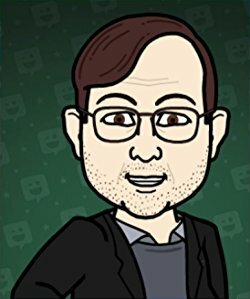 He is a great guy, very willing to help new authors and his podcast has helped me a lot. Yes, I realize the back catalogue is deep BUT the podcasts are less than 15 minutes each! Go give it a try, you won’t regret it!